"Make imagination your destination! 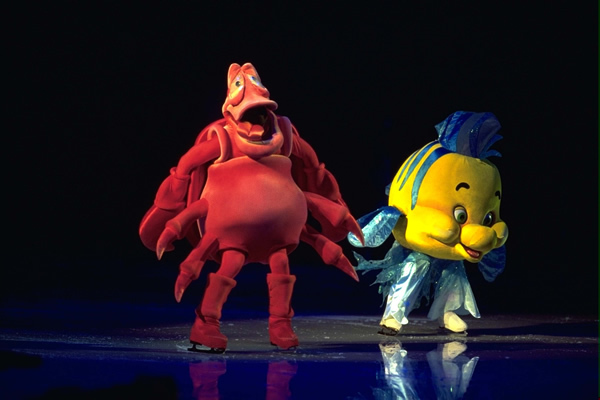 Join Mickey Mouse and Minnie Mouse on a journey into the magical worlds of Disney’s The Little Mermaid, The Lion King, Peter Pan and Lilo & Stitch. From Ariel’s enchanting undersea kingdom to Never Land with Peter Pan and his sassy fairy friend Tinker Bell, you’ll be captivated by the music, beauty and laughter in a journey so magical, you’ll never want to go home!" I have the opportunity to offer my readers the opportunity to purchase tickets with a discount. You can save $6 in advance on each ticket with CODE: FFA6 -- or save $3 on each ticket on the day of the show with CODE: FFA3. (Restrictions: FFA6 code valid through September 28, 2011. FFA3 code valid September 29 - October 2, 2011. Not valid on Discount Drug Mart Front Row and VIP seats. Limit 6 tickets per transaction.) To take part in this discount, you will need to head to this site to purchase your tickets. In addition, I have the opportunity to giveaway one family 4 pack of tickets to the show! But hurry and enter now - this is a quick 24 hour giveaway. 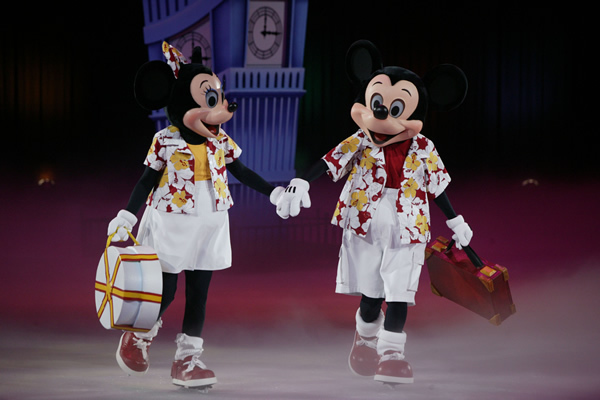 The winner will receive a family 4 pack of tickets to the Disney on Ice Mickey and Minnie's Magical Journey for one of the shows in Cleveland. You may choose the date you would like to attend. To enter: Leave a comment answering the question: If you were going on a Magical Journey with Mickey and Minnie, where would you go? Giveaway will remain open until September 14th at 9 pm. Giveaway is open to residents of the US only. One winner will be selected using a random number generator. The winner will be contacted by e-mail (be sure to leave one!) and will have 12 hours to respond or a new winner will be selected. I followed you on Facebook!! I posted on Facebook to my friends! If I could have a magical journey with Mickey and Minnie I would want to spend the day with them at Disney World with my family and friends. Stacey M. Wadsworth Ohio. I posted on Facebook to my friends!! I would go to the Magic Kingdom of course and see the happiness and magic through my children's eyes. If I could take my family on a Magical Journey with Mickey and Minnie we would take Pluto the dogoid to visit Pluto the planetoid.